Welcome to life on Cape Cod, where a day spent dreaming on the beach or sailing along Cape Cod Bay ends in a dinner of freshly caught lobster or an evening band concert by the harbor. 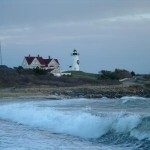 Hook a fish, watch for whales, or take in the view from atop a historic lighthouse. Each change of season brings new ways to savor Cape Cod, from the seafood festivals of autumn to the old-fashioned magic of Christmas lights and holiday strolls and festive parades. Whatever time of year you choose to explore the legendary beauty of Cape Cod, we invite your family to Briarwood Resort in charming Falmouth, one of the Cape’s most vibrant and beautiful coastal towns. Located near shopping, restaurants, and 10 area beaches, our friendly resort makes it easy to escape to a seaside getaway without leaving behind the relaxing comforts of home. 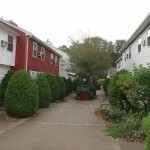 Spacious two-bedroom townhouses come with private patios and grills, and offer enough space for up to six guests. 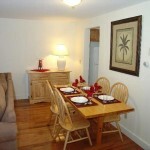 The resort is located just minutes from nine excellent beaches and a park with a freshwater pond. Briarwood is just a mile from the center of Falmouth, where some of Cape Cod’s best-loved restaurants, shopping, and attractions can be found. Ferry service to the out islands is just a five-minute drive from the resort, and New England favorites such as Boston, Providence, and Newport are only about an hour’s drive. 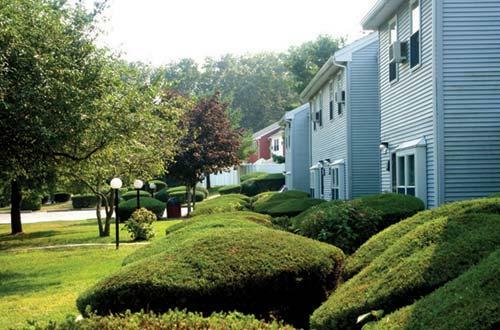 Briarwood Resort boasts large comfortable townhomes, located in a wooded neighborhood of lantern-lit walkways and neatly kept grounds. Each townhouse is tastefully furnished and family-friendly, with thoughtful amenities such as a hair dryer, iron and ironing board, and a weekly towel and linen service. At over 1600 square feet, you’ll find plenty of room to spread out, with ample closet and drawer space, comfortable bedding, and cable television. The kitchen is fully equipped, so whether you’re just brewing your morning coffee or whipping up a gourmet feast, you’ll find whatever you need. 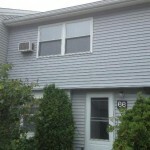 A private patio and grill makes a perfect spot for dining outdoors and enjoying the clean Cape Cod breezes. 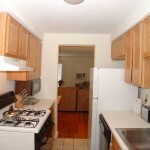 We offer Unit 26 for Week 27 (early July) and Unit 55 for Week 28 (mid-July), Saturday check-ins. 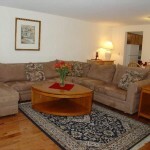 This is a two bedroom condo vacation rental. Compare at $1536 regular resort rate, and save (source: Briarwood Resort). Falmouth is quintessential Cape Cod, with 68 miles of coastline—more than any other Cape town. 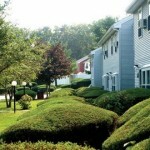 Each of Falmouth’s eight villages offers a unique version of life by the sea, from the quaintly picturesque West Falmouth to vibrant Woods Hole, home to one of the world’s top marine research centers. Stroll the shore of Old Silver Beach, often considered one of the Cape’s best. The Shining Sea Bikeway draws tourists from all over the world for a four-mile bike trail that winds along the shore of Vineyard Sound. 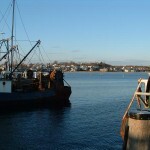 Falmouth is a haven for boaters and fishing enthusiasts. 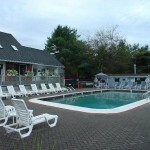 Enjoy wind surfing at Chapoquoit Beach or swimming in the gentle waters of Falmouth’s ten public beaches. For Cape Cod-style romance, take a tour of Cape Cod Winery or pick your own berries at Coonamessett Farm. Spend a leisurely afternoon in the six-acre Spohr Gardens, spot the barn swallows and rare wildflowers of Ashumet Holly Wildlife Sanctuary, or catch the dazzling Buzzards Bay vista from the famous Knob near Quissett Harbor. Theater lovers will find some of the Cape’s most exciting community and professional theatres in Falmouth, along with some of the best loved museums. Falmouth Museums on the Green is an escape to 18th century Falmouth, while Heritage Museums and Gardens is a treasure of American history, art, and horticulture. With some of New England’s most beautiful golf courses, charming Main Streets, and breath-taking scenery, Cape Cod has been called home by everyone from literary masters to former presidents. 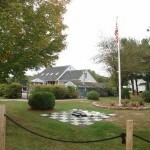 Wind along historic Route 6A past antique shops, art galleries, and the former homes of sea captains for a glimpse of Old Cape Cod, and explore the unique personalities of the towns along the way. Fall in love with the historic beauty of Yarmouth or browse the boutiques of Chatham’s quaint Main Street. See a drive-in movie or taste the world’s best oysters in Wellfleet. Watch the waves at Nauset Beach in Orleans, and stay up all night in Provincetown. 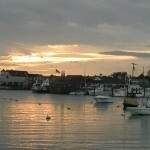 Ferries to the enchanting islands of Martha’s Vineyard and Nantucket are just minutes away. Cape Cod is a golfer’s paradise and Falmouth is home to 5 golf courses, from a secret jewel to a Cape-wide favorite. With gorgeous scenery and beautifully kept greens, Falmouth courses are known for their challenge, beauty, and top-notch service. Briarwood Resort’s relaxed atmosphere, spacious townhouses, and central location make it an ideal place for hosting a golf getaway. Cape Cod Baseball League games have become a summer highlight for everyone from non-athletes to baseball purists. The country’s most talented college players are recruited from this prestigious summer league that has become a key stepping stone to the majors and has caught the attention of baseball lovers everywhere. Falmouth is home to the Commodores, whose Guv Fuller Field home games (near Briarwood Resort) are a classic Cape Cod summer evening. 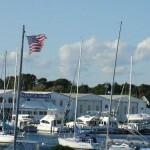 For off-Cape adventures, Falmouth is only about an hour’s drive from many favorite New England destinations, including Boston, Providence, Plimouth Plantation, New Bedford, Fall River, and Newport.